Click to enlarge. 1955 Report. This report is a comprehensive document that outlines the points of view regarding the issue of ordination of women, the Committee’s recommendations to the Assembly, and it poses 2 important questions to the Presbyteries. 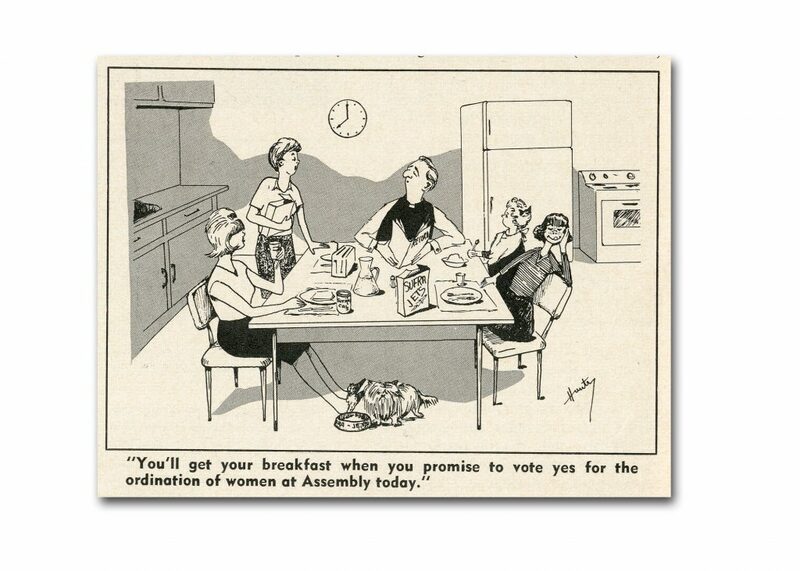 This was the first time Presbyteries would have the opportunity to vote in favour or against the ordination of women as elders and as ministers of Word and Sacrament. The report invited comments and directed readers to the three appended documents within the report. 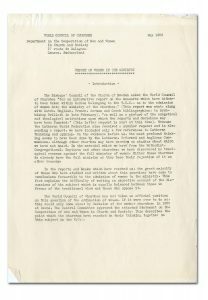 This report contained the 1954 report, a brief by Professor Scott MacKenzie, and a short article by Professor D.W. Hay. This document presents the main biblical and theological arguments for and against the ordination of women. It is divided into various sections that include: Order of Creation, Order of Redemption, the Ministry, the Authority of Scripture, Authority of Church Tradition, and other reasons (sociological, psychological, emotional etc.). The Appendix of the document examines how other churches and denominations around the world have discerned the same topic. The document does not take a side in the issue, opting to educate and present all arguments. Click to enlarge. 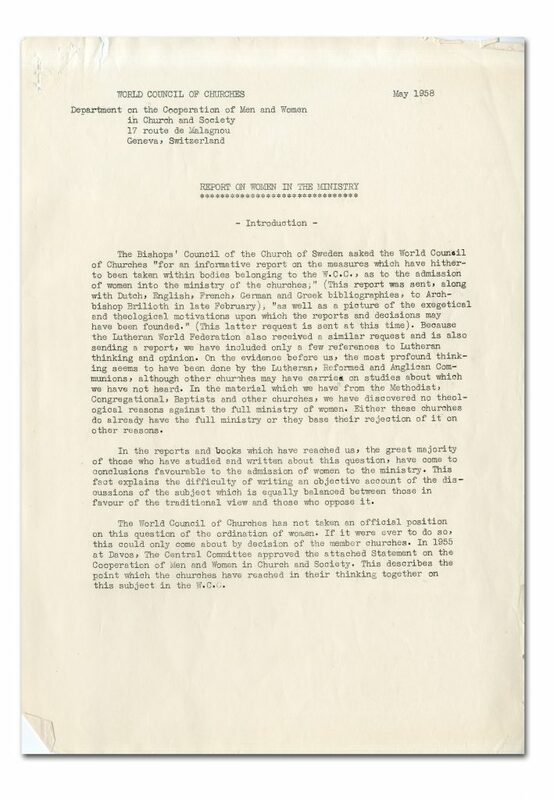 1958 World Council of Churches Report. Click to enlarge. 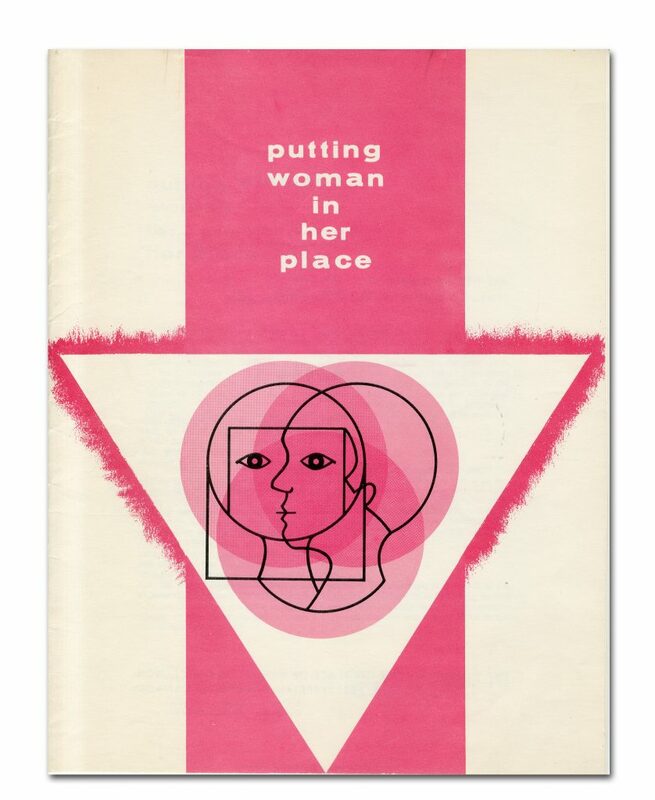 1963 Pamphlet Putting Woman in her Place. 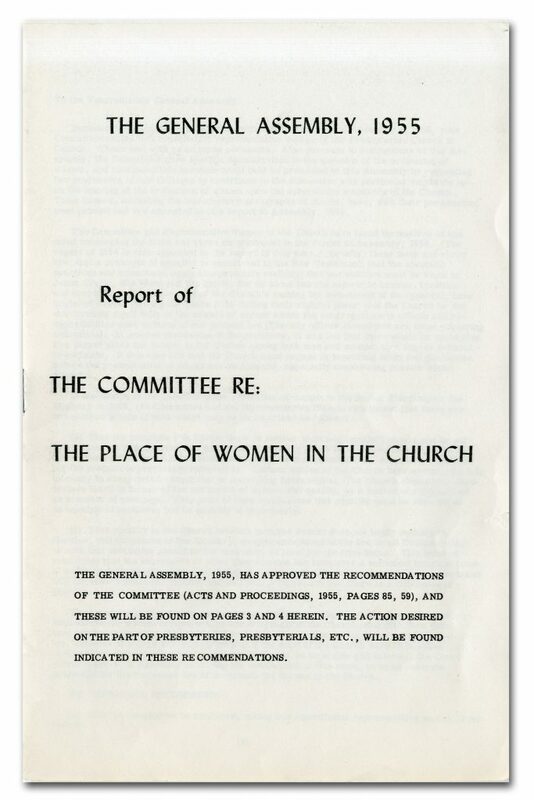 This pamphlet was compiled by the Committee on the Place of Women and the Committee on Articles of Faith. 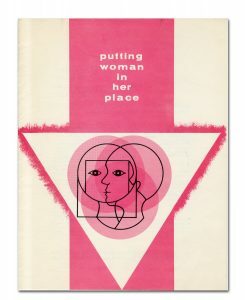 The main focus of the pamphlet was to examine the ordination of women in the light of the Bible. The document looks at different Bible verses and provides discussion questions for Bible study. This was created with the intention of helping stimulate discussions within the Church and guide them to form their own conclusions. 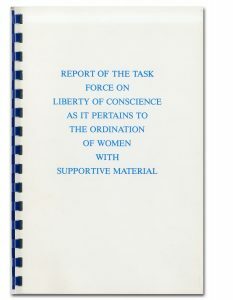 This report had four main purposes: to recognize the content of the Church’s decision, to examine the Church’s doctrine of ministry, to clarify liberty of conscience as it applies to the ordination of women, to affirm the lawful authority of the church in the oversight of its life and worship, and maintain the unity, peace and good order of the church. 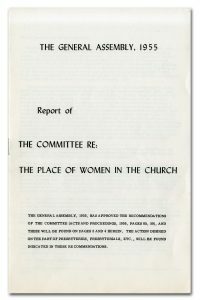 The document examines church doctrine and outlines several reasons why they chose to reject the notion of granting exemptions from the participation of the ordination of women. Click to enlarge. 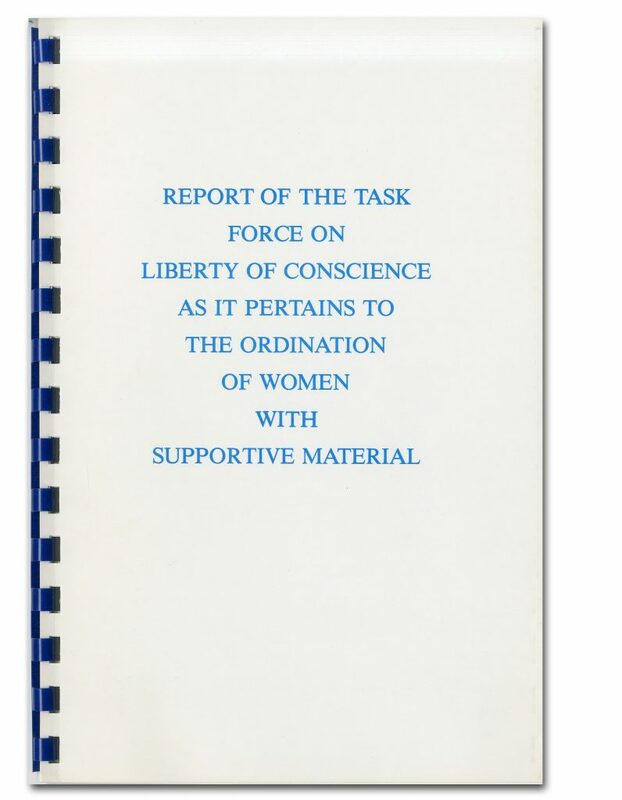 1982 Report by Task Force on Liberty of Conscience. 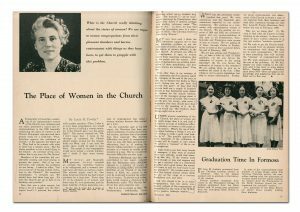 The Presbyterian Record was an important resource in the ongoing discussion of the ordination of women. Since it was an issue that concerned all levels of the Church, it was important to be able to discuss the ordination of women in a public forum. The Presbyterian Record afforded a space where people not present at General Assembly could educate themselves and comment on the issues and topics within this discussion. 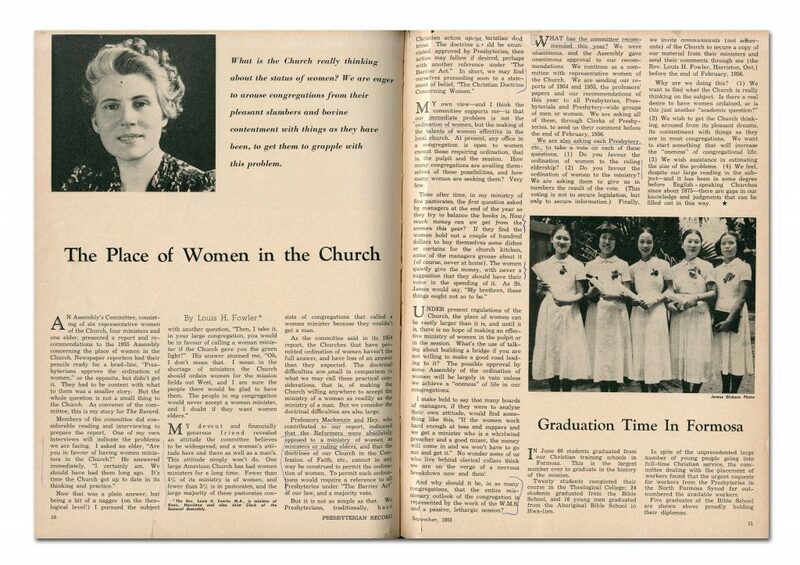 Articles like “The Place of Women in the Church” by Louis H. Fowler in 1955, and “the Place of Women in the Church” by L. Jean Black in 1956 were crucial in educating General members of the Church, sharing insight into the theological and sociological issues within the debate. Click to enlarge. 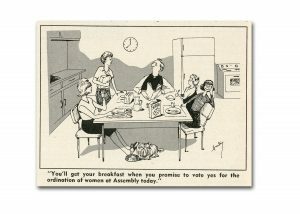 1966 cartoon. Click to enlarge. 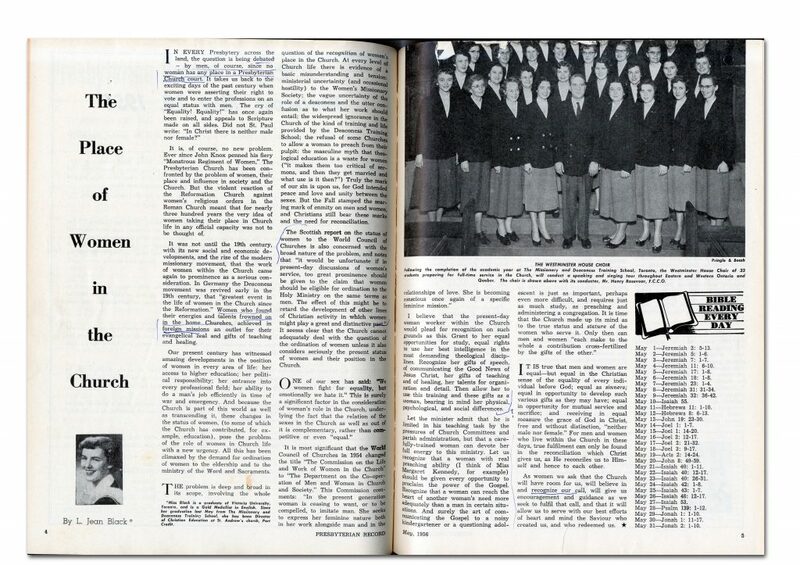 1955 article by Louis Fowler. Click to enlarge. 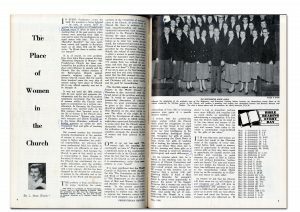 1956 article by Jean Black.